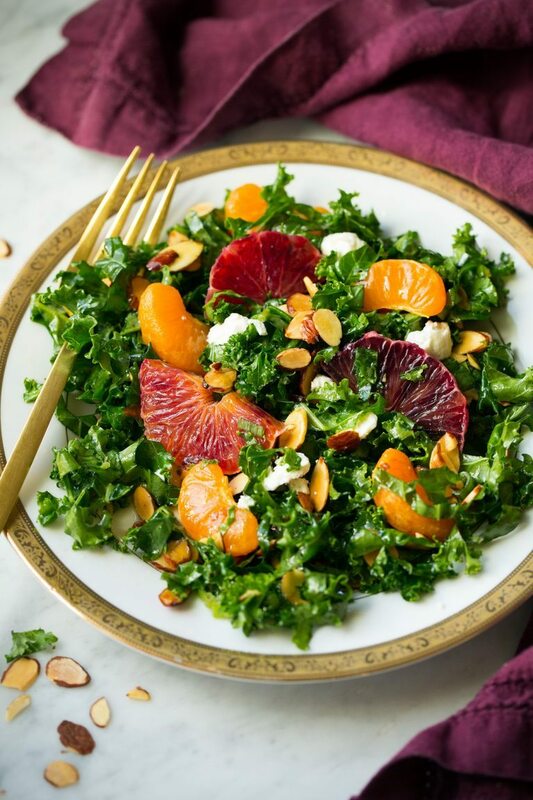 Add kale, half of the almonds, half of the green onions and the mandarin oranges to a salad bowl. Pour over vinaigrette dressing then toss salad. 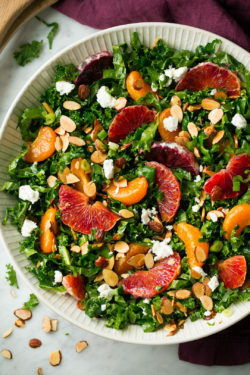 Top with remaining almonds and green onions, add blood oranges and goat cheese and serve. In a mixing bowl whisk together all ingredients. Chill until ready to serve. *If you don’t want to buy a navel orange for the juice you could sub mandarin orange juice if you bought a pack of them.